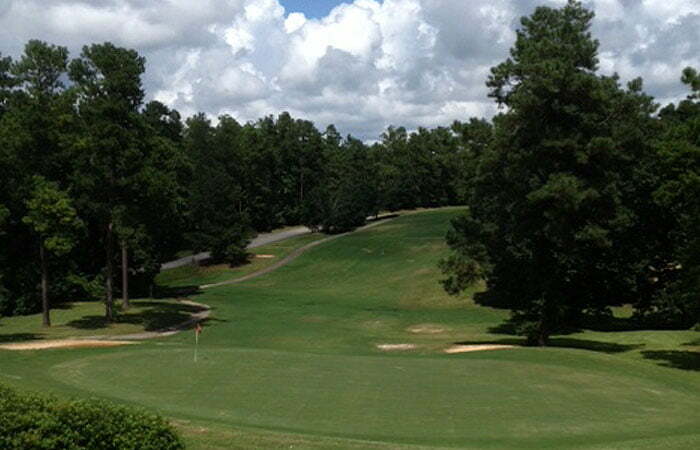 Challenging 18-holes course was designed by Ellis Maples to set on gently rolling hills of the South Carolina midlands. Elevation changes on the back nine make this course truly unique to the Santee area. Enjoy Tifdwarf greens as you warm up on wide open 328 Bermuda fairways on the front and dial in your skills with a narrow back nine. Owned and operated as a public facility by Calhoun County, SC. From Santee, take Hwy 301 south. Turn right onto Hwy 176 and continue through Cameron. Five miles outside of Cameron, turn right onto Country Club Rd. Course is on left. with Hwy 601. 2.5 miles after intersection, turn left onto Country Club Road. Course on left. Features: Pro Shop, Snack Bar, Putting Green, Driving Range, and Carts. Dress Code: Proper golf attire required. No tank tops or cut-offs. Cooler Policy: Allowed on golf course. Santee is halfway between New York and Florida; just a pitch shot from I-95, just off EXIT 98. You can easily get here from just about anywhere – come and visit! 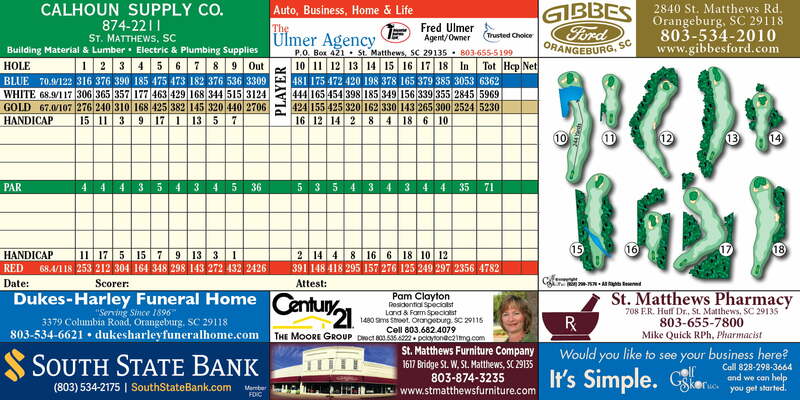 View our Golf Santee Contest Winners! Like Golf Santee on Facebook and follow us on the web for chances to win. Sign up online to be the first to receive information about additional seasonal package specials when they become available.